How to manually estimate UPS runtime based on server load and battery capacity. Use this four-step process to estimate UPS runtime. Determine DC amperage for existing load. Create a base ratio from available AH. Create a second ratio from the DC Amperage estimate. Cross multiply both ratios. Apply power-factor multiple for final conservative runtime estimate. 2 x 12V18AH batteries (i.e., series) = 18 AH. N.B., batteries that connect in parallel doubles the AH while the voltage remains consistent. Parallel connections are common in external battery packs. W = V x A. For example, assume that a HP server uses 300W at any given time. We're calculating battery capacity so use battery voltage (e.g., 24V) -not 120V. N.B., It's OK to use server-manufacturer estimates. It's better to take measurements from UPS or server management tools. Runtime uses a ratio of capacity over load. Therefore, our initial runtime estimate is 1.44 Hours or 86.4 minutes. 86.4 minutes x .7 = 60.2 minutes. or 1.44 Hours x .7 = 1.008 hours. Ensure UPS unit has sufficient capacity, voltage, and runtime. This online tool calculates UPS runtime based on server load and UPS capacity. Edit the AH, Watts, and DC voltage fields for a custom UPS runtime estimate. Tool that coverts electric power from watts (W) to current in amps (A). How to choose the correct UPS based on server load. Ensure backup UPS unit has the correct voltage and amps for runtime. W = V x A. Use the voltage from the UPS batteries -not 120V! How to Fix Premature UPS Shutdowns. How to calibrate UPS units. How to achieve the best runtime. How to prevent early shutdowns. 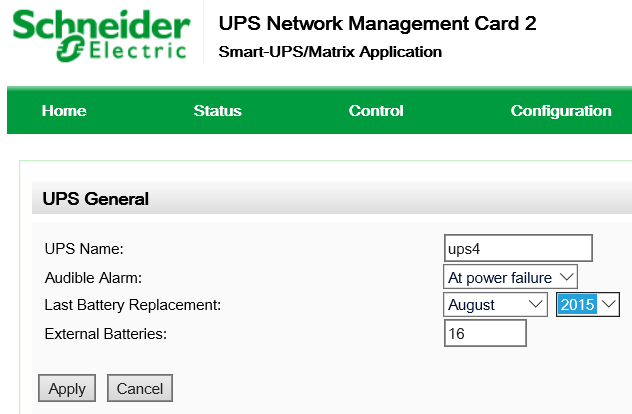 Smart-UPS units use Battery Constant to calculate runtime. Inaccurate battery constant leads to inaccurate runtime calculations (i.e., drifting). UPS reports inaccurate battery runtimes. Poorly calculated runtime cause premature shutdowns during power outages. Misconfigured external battery counts or old firmware can also trigger early shutdowns. Batteries become less efficient as they age. The UPS changes its battery constant value to reflect these inefficiencies over time. The UPS unit is supposed to reset its battery constant after installing new batteries. Unwelcome drifting occurs if the UPS does not detect new batteries nor reset its battery constant value. As such, it miscalculates available runtime that leads to premature shutdowns. According to APC, drifting may occur when factory batteries are replaced with generic brands. Drifting may also occur during a hot-swap replacement. Self-tests may also introduce drifting. Initiate a runtime calibration from the management card. This process recalculates runtime capacity based on its current load. Run "Soft" Runtime Calibration from the network management card (NMC). Do not run calibration on new UPS units. Re-calibrate after replacing old batteries with generic batteries. Discharge and recharge old batteries -before calibration. Calibrate with a 40% load. Completely discharge and completely recharge UPS. Change/ reset the number of external batteries from the management card. Manually configure the battery constant if the soft runtime calibration fails. Change the battery constant value from the serial console -otherwise known as the nuclear option! Use caution because incorrect commands can brick the UPS. Enter Smart mode: Shift+Y (i.e., CAP "Y"). N.B., each comma represents a pause. Change the battery constant value to FF. Use "+" or "-" keys to change the value. Type "R" to save and exit. The FF value is the highest possible battery constant value. It is entirely inaccurate -don't panic. Our goal is to maximize runtime and eliminate premature shutdowns. The UPS will still initiate a shutdown when battery voltage is less than 10.5V per battery. Use manual calibration method after the battery constant is rest. Move production servers to an alternate power source. This test requires at least 30% load. Attach old servers, workstations, etc to simulate production load. Ensure batteries hold a full charge. Pull the plug so that the UPS operates on battery power. Allow the UPS to operate until it shuts down. Plug the UPS back in and allow it to recharge. The UPS now provides an accurate runtime estimate. It is ready to protect production equipment. How to calculate and configure external battery count for UPS units. UPS units can run for days with a sufficient number of external batteries -not so for some APC units. The UPS uses battery count for runtime calculations. For example, some UPS models cap the number of external batteries. In other words, runtime won't benefit from additional batteries that exceed this cap. UPS units use external battery count for runtime calculation. This process provides maximum runtime and prevents premature shutdowns. Configure external batteries in the NMC GUI. At first glance this process seems simple enough. However, determining the correct number of external batteries gets confusing. For example, does it want a count of all physical batteries? Or does it want a count of battery packs? 750XL UPS uses two 12V18AH batteries. SUA24XLBP battery pack uses four 12V18AH batteries. The network management card (NMC) external battery count equals four. ~18AH per battery; or a total of ~36AH. UXBP24 battery pack uses four 12V75A. ~75AH per battery; or ~300AH total. In this situation, the external battery count is not four. Rather, it equals 16. Huh? In both examples, the external battery count is the total sum of Amp Hours (AH) of all external batteries; divided by the AH of ONE internal battery. The battery amperage is usually listed on the battery. Alternately, look up the UPS or battery pack model at http://www.refurbups.com. Press Shift+Y (i.e., CAP "Y"). Use the "+" or "-" to change the battery count. Last updated November 11th, 2013 by Steven Jordan. Server room power requirements: Strategy for electrical circuits and outlets. What's so complicated about power? Plug in the machine and watch the LED lights come to life. Unfortunately power supply planning is a bit more involved. Larger server rooms typically have 110V and 220V outlets. To simplify the process we'll examine typical 110V outlets and how they supply appropriate power to the sever room. Assessment Planning: Layer 1 may not be glamorous but it is the essential foundation for all server room dependencies. Don't assume that server room outlets can support every device you can throw at it. Likewise, it's poor practice to substitute power strips when there appears to be a shortage of electrical outlets. An assessment of available electric resources will avoid these pitfalls. N.B., 110 outlets are represented with a singular power symbol. 220 outlets are represented with the power symbol and with "240V". The 240V stencil is nominal for either 208 or 240 Volts. APC UPS units, however, can be configured with inputs and outputs of nominal 220, 230, and 240 voltages. Like wise, 110V usually refers to nominal 120V. The design load is only an estimation and does not account for every situation. Circuit breakers do not limit Watts; rather Amps. Consider a single device can draw more than 15A (i.e., don't use toasters or hair dryers in the server room). It is however, important to determine reasonable consumption for all devices in the server room. Excel Spreadsheet. Use an Excel worksheet to document each server and its average power consumption. Columns represent individual circuits. Rows represent miscellaneous servers and devices. Average power consumption is then recorded to corresponding cells as Watts. 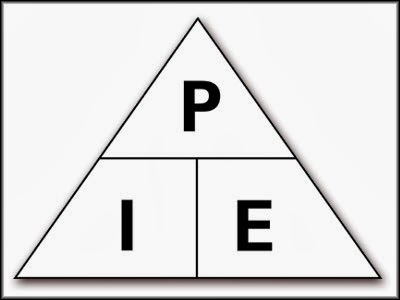 Precise measurements are preferable but not always be available. Use rough estimates in lieu of recorded statistics. Remember, estimates can be updated to reflect closer approximation at a later date. Armed with this information, Excel formulas can determine total output for each circuit in the server room. Server tools may provide additional power consumption data. Dell's IDRAC management card provides accurate PSU data. For example, the Dell Open Management Server Administrator (OMSA) determined our Power Edge R420 used on average, 66 Watts. I found the online estimates useful, albeit overly conservative. According to Dell, the same R420 server was expected to consume an average of 224.2 Watts. That's a 158W difference of capacity planning! There is an important distinction between maximum rating and actual consumption. In reality, most servers never experience more than 300W at any given time. It should also be noted that data for Amps, as well as Watts are provided. Total consumption from this UPS averages 388.5W. Our maximum target per circuit is 1440W. Data indicates we can tipple the current load without crossing over the 1440W threshold. The logs provide additional information to help our assessment. Recall the power formula? What is the significance of 3.29A? We've already determined we can add additional devices to the circuit. Additional devices will increase current which can risk overloading the 20A breaker. Exercise caution and incorporate a cushion for growth. Server upgrades, including memory, CPUs, additional virtual machines, etc.. will increase the overall electrical load. Electrician's Help. 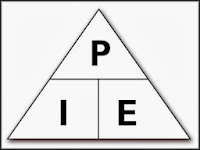 An electrician can be of substantial help through the assessment process. I recommend an electrician's help to ensure the server room has a 1:1 ratio of circuits-to-outlets. An unexpected power outage is a particularly harsh way to discover your design only allows half of its intended power. Comparatively, the 220V outlet with a 40A breaker is robust and forgiving. A qualified electrician can install 220V outlets. The disadvantage to 220V outlets is that existing UPS units and servers most likely use NEMA 5-15 and C13 power cables. Change of outlets requires a change of UPS units. Consider this is a one time expense. The 220V UPS can be paired with a step-down transformer to allow a 110V PSUs (server) to connect. An electrician should also review of the breaker box to determine the main amperage rating. The main amperage rating is different from the ratings of individual circuits. Several circuits that run near capacity can trip the the main (DIY, 2013). The electrician can also ensure 20A breakers are used for the 110 runs. Most importantly, if the circuit breakers are not clearly identified, have the electrician label all breakers and outlets. Electricians can be expensive but power mitigation in priceless.